we are required to be responsible stewards on many levels. Are You Being Called by Horse? While symbols may have lost some of their power to speak to our unconscious minds in our noisy, hyperactive, modern world, they still resonate strongly with those who are ready to receive. The color white is the integration of every visible color in the spectrum. As a symbol, the white horse represents the integration of our authentically evolving self, and the oneness that connects us all. It is also symbolic of the broad spectrum of scientific research, ancient and herd wisdom that we’ve woven into our approach, grounding and enriching the work, making it accessible to our mainstream culture. So it is with this intention, one of compassionate open-heartedness, an open and creative mind and a courageous gut, that we uphold a lantern of knowledge, a beacon to illuminate your own path towards self-discovery and personal evolution, authenticity, awakening, and being of service to others. A path towards both White and WindHorse Wisdom. 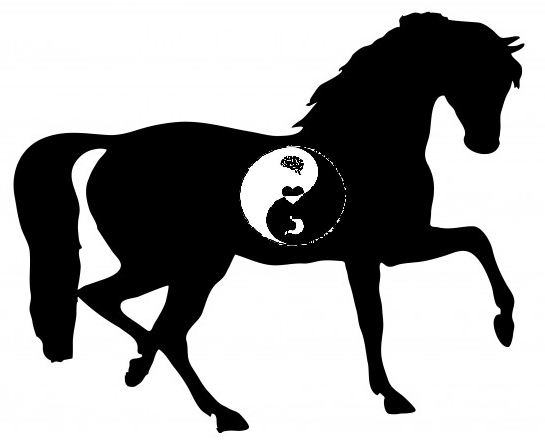 All over the world equine facilitated human development is becoming recognised as a powerful modality for human transformation and wellness and we have been increasingly asked to teach others to do what we do in our unique approach to human development. So it's with great pleasure that we are sharing our knowledge in core modules plus electives training program. If 'horse' has touched your heart and soul and you wish to begin your facilitation journey, yet are unsure where to start, we'd love to hear from you and help you begin. Have a look around our website, check in with your heart and gut, digest our offerings and if you'd like to know more, please call us. We look forward to welcoming you to 'the herd'. We have developed a safe and respectful method that is grounded in peer reviewed research and scientific findings. After learning many of the well-known EFL/P approaches offered overseas, and working with thousands of diverse clients for almost two decades, we are now offering a world-class training program and on-going support and learning for people interested in becoming Equine Experiential Learning Practitioners in Australia. We've been asked 'what is our philosophical basis?' This a tricky question because it is a synthesis of a number of disciplines and fields of study. Our program has been inspired and influenced by a huge variety of people from diverse fields so we weave in tools, techniques, processes and approaches from interpersonal neurobiology, somatics, presence based and body mind spirit coaching methods, mindfulness, science and neuroscience, quantum physics, appreciative inquiry, organisational development, leadership, entrepreneurship, personal development, the emotional system along with social, emotional and relational intelligence, learning theory, experiential and adventure education, the healing and martial arts, transformation, archetypes, myth, spirituality, philosophy, business development and marketing. We use and teach concepts, strategies, principles, theories, practices, systems, models, and language from all of these fields. We have weaved all of these together carefully to produce an integrated training technology, not just an assortment of ideas and we feel that we are unique in our approach in that the training develops you as both a person and as a facilitator. You have the option to undertake our entire training program if you are new to the field or if you have had previous training you may wish to draw on the modules that call to you and you feel will enhance your current offerings. With over 10 years in development, several years in action research trialing and testing and now 4 years of offering training, this is for those who are interested in coaching and facilitating 'in the field of horse' whether you are just beginning your journey or are already trained and experienced in other modalities and are seeking further education, inspiration, modules or ideas to integrate into your current offerings. We believe we are the first in Australia to integrate peer reviewed research along with the latest findings in neuroscience as a solid basis of our training programs and are the first in the world to integrate cutting edge tools and techniques for aligning and integrating the body's multiple centers of intelligence. In this training program you will gain both personal and professional skills that are not offered anywhere else. We teach presence based coaching/facilitation practices, along with connecting, aligning and integrating the head, heart and gut intelligences, balanced breathing techniques and basic neurophysiology to provide a strong and informed base from which to practice from. We stand on the shoulders of others and acknowledge those who have gone before us, without whom we would not have evolved to where we are today. 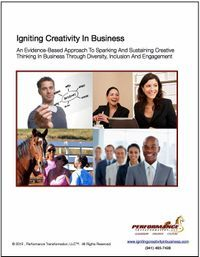 Cheryl of Windhorse Wisdom has created a unique and powerful model of human development with horses that draws on ancient and contemporary wisdom, supported by the most recent neuroscience findings. Her experience of over 33 years in working with wisdom and body mind breath centered practices and her formal BA degree and teaching internationally at University in recreation and experiential learning, along with coaching hundreds of diverse clients, she has the professional expertise of program research and development, instructional design, assessment, adult learning theory, experiential learning and group processes. Holding qualifications in experiential education, facilitation, experience based learning and numerous coach training qualifications and certifications, along with RTO Cert IV in Training and Assessment, training is designed around specific learning objectives supported by comprehensive manuals and other tools, all delivered in a manner that is appropriate for all adult learning styles. 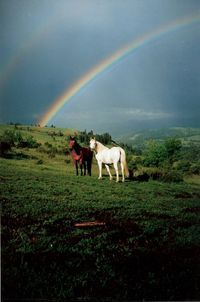 Our approach provides a unifying theory and integrative body, mind spirit approach to equine experiential learning. 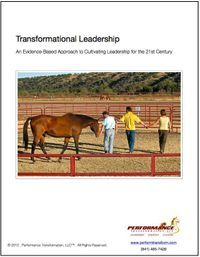 Rather than being methodology-centric, our approach comprises 3 universal principles that guide the practitioner in facilitating human-horse interactions, along with the 4 keys to somatic practice for enhancing social and emotional intelligence. 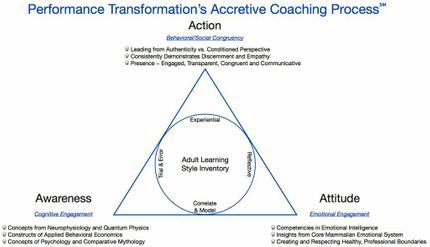 This provides a framework for the learning / transformation experience. Through a unique coaching process based on the substantiated research in neuroscience, we work with clients to enhance awarenss, align and integrate their intelligence centers to expand their capability to transform, change, and achieve desired goals and outcomes. Having received our training in various models from leaders in the field of equine facilitated human development, we provide comprehensive training that can be applied to a diverse range of clients. We continue our own professional development primarily through networking and mentoring with USA-based practitioners who are well recongised in the equine learning field and body mind somatic and embodied practices. This link to emerging ‘industry trends’ in a rapidly growing and dynamic field ensures that our training is based on best practices and current research and thinking. Most training offered in Australia is currently USA-based, where trainers visit periodically to run programs and return home. In many cases, your primary support is only your peer network. Since we are based in Australia we are readily available to provide assistance. We understand the Australian culture, conditions, and challenges, and regularly work with our own diverse clientele. Therefore, training does not have to be interpreted for Australian conditions. With our supplementary workshops, you can continue your on-going professional development as needed. Fundamental to this training is understanding the functions of the triune brain, limbic system, multiple brains and the latest findings in neuroscience. 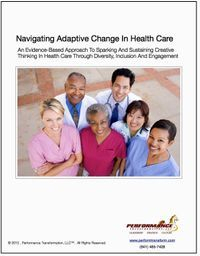 This understanding is necessary to create and facilitate effective learning conditions to meet clients’ specific needs. Our unique coaching model is designed to access, integrate and align the various intelligence centres in the body to expand one’s capacity for achieving desired change, goals and outcomes. Core training is sufficient for participants to learn the philosophy, functions and roles of facilitators and horses, practice basic facilitation and application of learning models, experience working with horses as co-facilitators, learn the various tools and activities associated with the 6 Keys of Relationship, identify how they would use these tools and models with their own clients, and learn important aspects of their business and marketing. The training has been divided into two modules to allow sufficient time for you to process and integrate the learning content. You will be given further material to learn at your own pace and deepen your training experience during the time in between the two modules. A wide selection of workshops to enhance core training, will be offered that range from 1, 2, and 3 days. 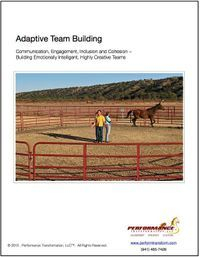 They will include (but not limited to) various coaching and facilitation models, clean language and metaphors, marketing your business, horse/herd dynamics in-depth and working with horses in learning programs, running corporate programs, program development and design, and a wide selection of pre-developed programs that include all the information needed to run them, as well as manuals – participants would experience the program, and practice facilitating them as part of these workshops. All supplementary workshops are offered at a discounted rate to participants who complete EEL modules 1 and 2. They are also open to anyone that meets the prerequisites (identified for each individual workshop). 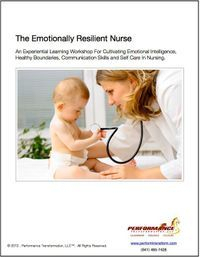 These supplementary workshops are designed to continue your professional development in your specific areas of interest rather than a one-size-fits-all approach – making it more cost and time effective. Every workshop will be experiential and you will have opportunities to practice facilitating. On successful completion of Modules 1 and 2 you can choose to complete the next 2 levels of training or be eligible to attend the supplementary workshops at the discounted rate. You will automatically become a member of the EEL peer community for valuable networking and support. 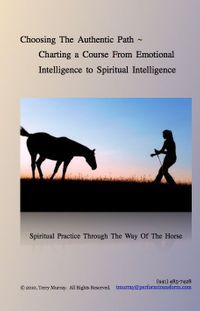 This training is suited for anyone in the field of human development: coaches, counselors, therapists, social workers, teachers, trainers, healers, equestrians, and other individuals who want to incorporate horses into their work. 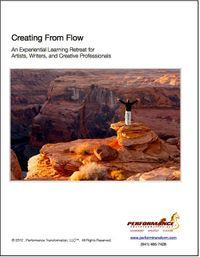 People who have attended EAGALA or other training will find that this training complements what they have already learned, and provides opportunities for practicing and deepening skills, includes other models that specifically focus on body awareness and emotions, and includes more sophisticated facilitation and coaching modalities. We concur with recommendations of International Standard ISO/IEC 17024 – that certification should come from independent and nationally recognised professional associations – and not from the organisations providing the training. This greatly enhances the credibility of the certification earned, and protects the integrity of all parties. We do not offer certification but do give a certificate of completion for all of our training programs that acknowledges attendance of the participant. Our programs can be taken to enhance your professional or personal development. A detailed application process will help us mutually determine if this is the right training for you. After we have received your application, we will contact you and discuss next steps. Learning skills and expanding knowledge for the purpose of applying them to a career, is a worthy investment. In addition to learning, you will no doubt experience your own personal growth that may influence other areas of your life. You will become part of a community that supports your professional and business development and have access to local (Australia) expertise. Payment: Payment can be made via cheque, paypal, or direct deposit. Deposit: A 30% deposit ($535) is required 45 days prior to the training date to secure your position. The balance ($1,315) is due 30 days prior to the training date. Cancellation policy: Your deposit will not be refunded if you cancel, however it can be applied to the next training program. This comprehensive program is a year long study of hands on live and skype based training in the Accretive Coaching process and is supported by USA based Performance Transformation through The Kanthaka School of Equine Facilitated Learning' as the Australia/Asia Pacific representative for this authorised instructor training. To apply for enrollment in the Accretive Authorised Instructor Training program, please contact us and the application kit will be emailed to you. The application kit includes a short essay describing why you wish to study the approach and you will be requested to take an online assessment. There is a $50, non-refundable application fee. Tuition for the complete Authorised Accretive Coach training program with access to all materials, co-branded sales and marketing material is $8,990. Each hands on module is broken down for easy payments of $1850 per module and includes the 2 x 5 day modules that make up the Foundation program and the 5 day Group processes intensive. Tuition can be paid in installments (we also have a special no interest, nine month payment plan available). To ensure optimum, personalised support and education, enrollment is limited to 8 students. Accretive coach tuition includes all coursework materials, lunch and refreshments during the onsite intensives along with weekly or twice monthly on line coaching/training and support over 9 months and 3 hands on intensives. Upon graduation you will receive a Certificate of Authorisation, Authorised Accretive Coach (AAC), as well as a Certificate of Authorisation, Authorized Kanthaka Instructor (AKI). You will also receive an Authorisation License for the use of the Kanthaka Approach℠ curricula (please see below), including full color, bound companion workbooks, co-branded sales and marketing materials. 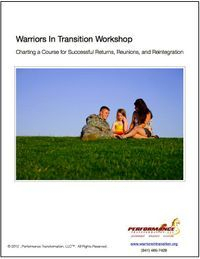 You will be responsible for your transportation and accommodations, dinners and breakfasts as well as the twelve books we’ll be using as part of the full and comprehensive Accretive training curriculum. We are currently updating our website with more details and setting additional dates so please register your interest now for more information as numbers will be strictly limited for each module. We were thrilled to be the first Australian to be interviewed as part of the international 2014 Healing With Horse Telesummit. 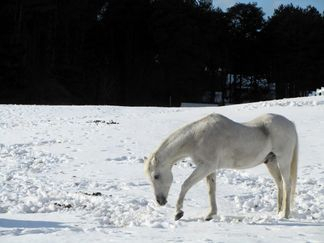 Dr Jenn interviewed us about the evolving field of mBraining With Horses.